These are made from the finest high carbon steel with hardened teeth. 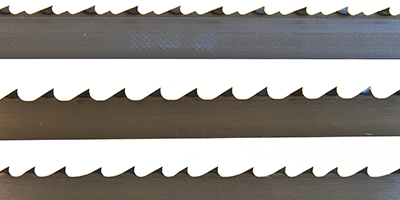 These blades are made from .014” (.35mm) thick material and designed for use on small two wheel bandsaws and three wheeled bandsaws. 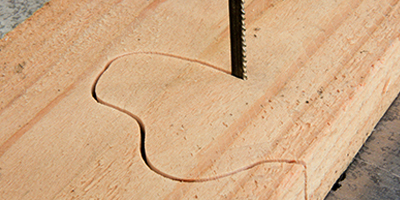 Small two wheeled bandsaws can also run the SuperTuff Premium blades. These blades are made from premium quality carbon steel with induction hardened teeth. 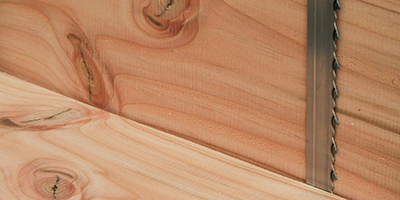 They are made from thinner material than standard blades and are suitable for cutting a variety of materials. 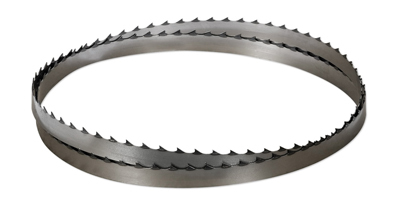 Due to quality of the steel used and the manufacturing process these blades maintain a sharp edge longer than similar carbon blades and work out very economical to run. 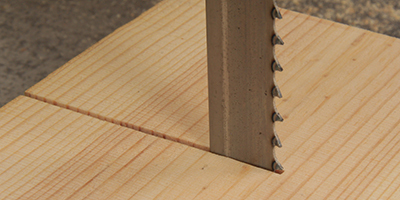 1/4” and 3/8” SuperTuff Premium blades can also be run on small two wheeled bandsaws and will give a lot more stability when cutting compared to the Hobby/Thin Gauge material. The 3/4 Vari-Tooth Premium is a new blade that has sections of 3tpi and 4tpi on the same blade and is a brilliant new addition to the line up. 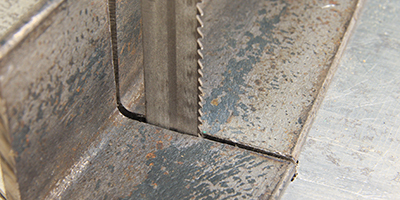 The vari-tooth design reduces blade resonance and means that the blade can cope with wood from 20mm thick up to the maximum depth that the bandsaw can cope with. 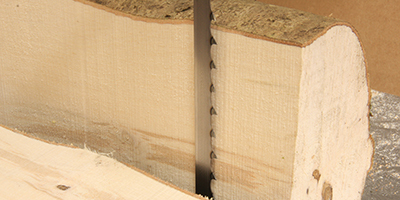 The blade is an amazingly versatile blade being able to cope with a wide variety of thicknesses and ideal for re-sawing etc. Made from the finest high carbon steel with hardened teeth, these blades can be used to cut a variety of materials including wood, plastic, ferrous & non ferrous metals (depending on the tooth pitch and cutting speed used). The SuperTuff Carbon range tends to have the widest choice of tooth pitches out of all the blade ranges. 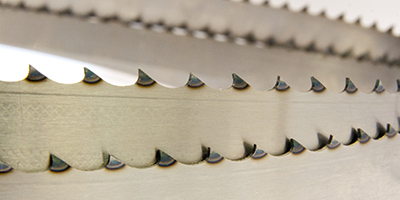 Due to quality of the steel used and the manufacturing process, these blades offer a great blade life and work out very economical to run no matter what’s being cut. A specialist carbon steel blade with hardened teeth, these blades have an aggressive tooth design so that they can cope with very thick stock. These blades will cut all types of wood but are especially suitable for cutting green wood due to the deep gullets and tooth set. 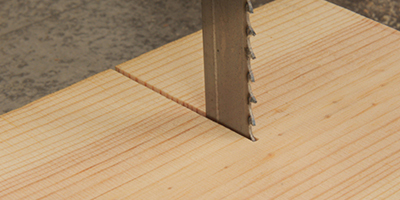 These blades have heavier set on the teeth to create extra clearance when cutting. The extra set reduces or eliminates problems caused by resin and improves blade life. The extra set also makes radius cutting a lot easier in thicker stock. Made from triple tempered M42 cobalt high speed steel with hardened teeth, these blades will last on average around 5 - 10 times longer than other blades. 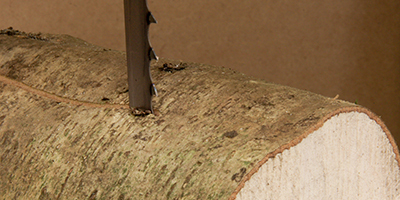 Another advantage of the M42 blades is that they will cut through the occasional nail without damaging the blade or causing the blade to go blunt. 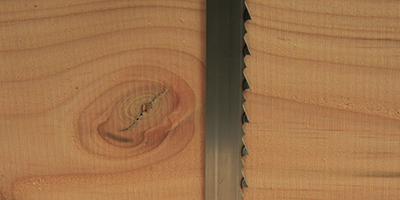 M42 blades are especially popular for cutting re-claimed timber and hardwoods where the extra blade life means that these blades are very economical to run.